ATC may not be the biggest player in loudspeakers, but the company's standing is high. Not just in hi-fi; ATC is well-respected in the pro-audio world, too. Originally the range made absolutely no concessions to budget, with an entry price well over the £1,000 mark, but in recent years a couple of models have cracked that barrier. Indeed, the SCM12 and SCM7 had been around long enough to warrant some updating and, while the latter remains sufficiently close to its original incarnation to keep the model number, the SCM12's internal volume has now shrunk by one litre to become the SCM11. By making its own drive units, ATC is able to keep particularly tight control on the performance of the overall product. This is reflected in some of the best-measured specs in the business. The downside, if one might call it that, tends to be exceptionally low sensitivity. ATC correctly points out that, these days, Watts are cheap and the speakers are built to handle high power, resulting in a maximum acoustic output that's pretty much par for the course. Although some refinements - such as ATC's 'Super Linear Technology' distortion-reducing concept - are only applied to upmarket designs, the main driver here is nonetheless innovative in its use of 'Constrained Layer Damping' to reduce resonance within its structure. ATC claims that this both reduces distortion in the critical midband and eases crossover requirements. The SCM11 is unusual in being a sealed-box design rather than using a reflex port. The two approaches are sufficiently complex that leading authorities on speaker design fail to agree on them, but reflex loading is generally thought to give slightly better bass extension from a given size of box. Ultimately, though, it's the results that count. The main drive unit features a short voice coil in a long magnet gap. This is very much the expensive way of going about things (a long coil in a short gap is cheaper and much more common) but has distinct advantages in terms of keeping distortion low when the cone is moving a long way, as it must in order to produce high levels of bass. Meanwhile, at the other frequency extreme, treble dispersion is aided by the 'waveguide' profile of the tweeter. In appearance, the SCM11 is smart rather than beautiful, with wood veneer-effect finish and a removable grille cloth. ATC recommends this be removed for ultimate performance, though we found it negligible in sonic effect. Twin terminals at the back allow for bi-wiring/ bi-amping if required. Incidentally, apart from the requirement for plenty of Watts, this is not a tricky load to drive. Having high hopes for this loudspeaker we started it off with a demanding track, the opening of Mahler's fifth symphony on Water Lily Acoustics. The recording was made with minimalist microphone techniques and it's all too easy to write off any confusion in the replayed sound as a function of the unusually generous acoustic that results. Repeated hearings via various top-grade speakers and headphones have convinced us that there's a lot of detail there, but we weren't entirely prepared for the amount the SCM11s revealed. Nor were we at all expecting the bass drum - a sufficiently tough test to fox many components - to have so much weight. At the outset, then, it looks as if ATC has achieved something impressive. Less surprising, though no less gratifying, was the excellent stereo imaging, one area where small speakers are typically at a bit of an advantage. Following full orchestra with a selection of piano recordings was no less admirable. Piano possessed considerable weight, but also great clarity and definition, and even scale. In recordings of voice and piano, both retained their individual character and avoided getting in each other's way. In short, the SCM11 has a lot to recommend it as a speaker for playing classical music or indeed a lot of jazz, where its open, neutral and extended character serves the music well by doing little to it. But, what about rock, pop and other studio-created sounds? 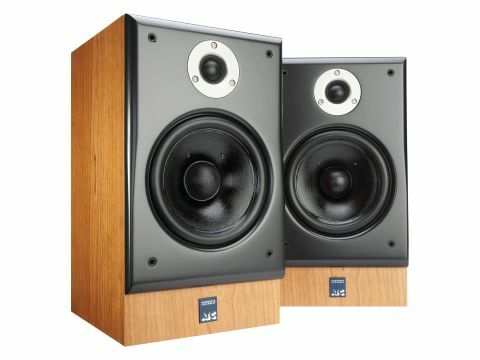 Inevitably there's more room for argument here as the loudspeaker is more part of the creative equation, and if you're looking for high-octane excitement, especially in terms of 'fast' bass and bright treble, you could well find these a little lacking. On the other hand, detail is detail in any music. We believe strongly that the SCM11 should be considered quite apart from its 'small standmount' physicality. Irrespective of size, if your budget covers it, be sure to try it. All the same, there are limitations, the most obvious being ultimate loudness. We used some meaty amplification of up to 250 high-quality watts courtesy of makes from NAD to EAR and heard some loud sounds as a result, but if you want to listen really, really loud in rooms upwards of 30 square metres you may have to look at a bigger speaker. If, for some reason, you're downgrading from large, upmarket speakers you'll miss some bass extension, despite our admiration already noted - that's all in context. And if you want artificial excitement, this may not be your bag at all. For simply playing music, though, The SCM11's £849 is money very well spent.